November 2018 Archives - Trillium Secure, Inc. This Wednesday, on November 28th, 2018, Trillium Secure CEO David M. Uze delivered a keynote speech on the importance of cybersecurity in the automotive industry to the attendees of the 7th International Cybersecurity Symposium. The event was hosted by the prestigious Keio University in Tokyo, Japan, where David met with Executive Advisor to the Cyber Center at George Mason University, Linton Wells II, to shed light on the importance of transportation cybersecurity in Tokyo leading up to the 2020 Olympics. After blockchain and Artificial Intelligence, it’s time to become a cybersecurity expert. Cybersecurity is not an easy concept, but it can be understood as a peacekeeper against digital world’s growing threats. The startups in the Cyber@StationF program led by Thales help us get some answers to questions about this mysterious world that you didn’t even think of asking. Cryptography is the practice and study of techniques for securing data against unauthorized parties. It is sometimes synonymous with the terms encryption, which converts data from a readable state (plaintext) to a state that is unintelligible (ciphertext) to an observer, and decryption, which converts the unintelligible (ciphertext) back into a readable state (plaintext). Cybersecurity solves the problem of storage and communication between trusted parties without exposing the data to an untrusted interceptor i.e. it provides prevention against eavesdroppers. At NuCypher, we are focused on using the latest advances in cryptography to provide a data privacy layer that provides the ability for distributed systems to securely store, share, and manage private data and ensure only authorized access to data”. Software attacks are the most famous threat because they regularly affect our mobile platforms, computers, and servers. In the software world, security hackers are labelled by the colored hats they wear. White Hat Hackers are the good guys on the block. They try to find weakness in a system with a goal of improving the security of the underlying system, with owner’s permission. Black Hat Hackers?—?Their dark and malicious intent is to find vulnerabilities in individual devices, so they can hack into your network and get access to your personal, business and financial information for nefarious purposes. Grey Hat Hackers?—?They might have hacked into a system without permission, yet they don’t have personal gain in mind. They may hack into an organization, find some vulnerability and leak it over the Internet or inform the organization about it. Counterfeiting in electronic hardware is also a wide spread challenge and a financial motivation for hackers. 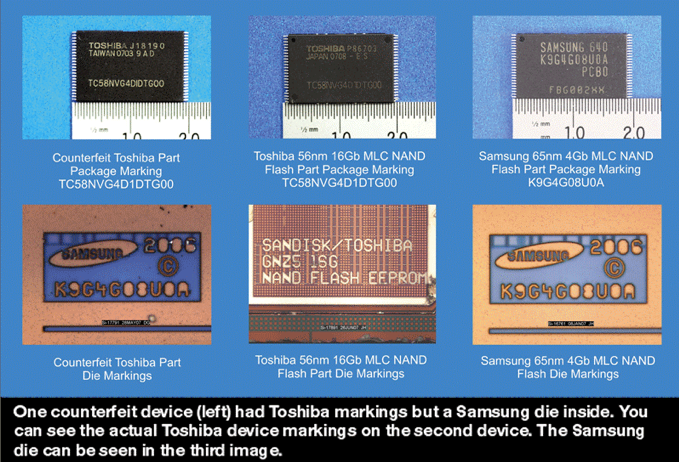 The following image from an August 2007 EE Times article showed counterfeited Toshiba chips with Samsung die inside. 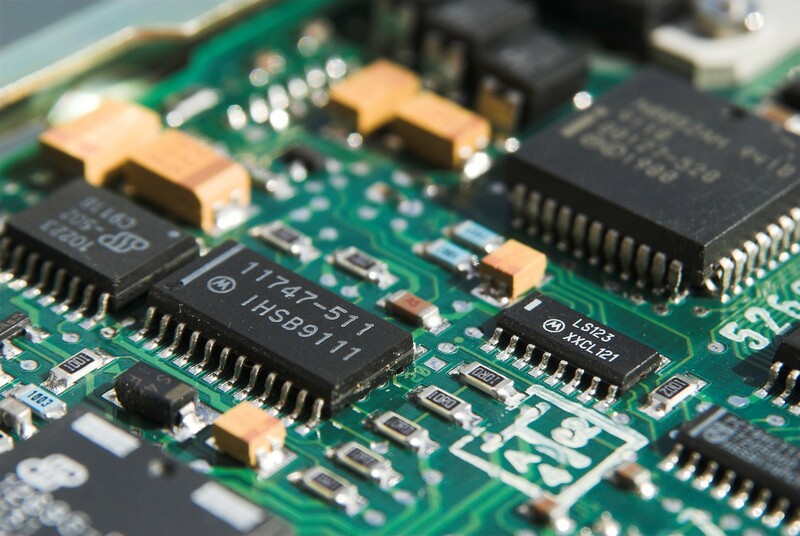 Thanks to Algodone’s SALT (Silicon Activation Licensing Technology) electronic manufacturers can possess authentic licenses in order to use an IC chip in an electronic system. As Algodone’s SALT licensing is rooted in silicon, it is extremely difficult and nearly impossible to break through”. So, hackers could very well be anyone… but really, why are they doing such things? We’ve asked Rotem Abeles, from Cylus, a company that delivers in-depth holistic visibility into rail safety-critical networks. 1.They want to show off. In 2008, a polish kid hacked the train network in Lodz, and as a result, 12 people got injured. His prank was not taken lightly?—?he was caught by the police and sentenced to jail. 2. They are looking for revenge. In 2017, a former employee of Transcontinental Railroad Company was found guilty of damaging the railway’s’ IT network. He was fired in 2015 and according to the US justice department, before leaving, the former IT admin deleted files in his employer’s network, removed administrative-level accounts, and changed passwords on the remaining administrative-level accounts, locking them out. He even attempted to conceal his activity by wiping the laptop’s hard drive! 3. They are in for the money. Ransomware attacks are a lucrative way for criminals to fill their pockets. In 2016, San Francisco’s railway system, the Bay Area Rapid Transit (BART) was the target of ransomware. The management of BART refused to pay the ransom and let commuters in for free until they could recover the system from a safe backup. Had the attack been on a more critical system, the outcome could have been different. Shutting down the subway in a major city could cost hundreds of millions of dollars in economic damage per day. 4. They are motivated by ideology (e.g. Terrorist groups or governments). 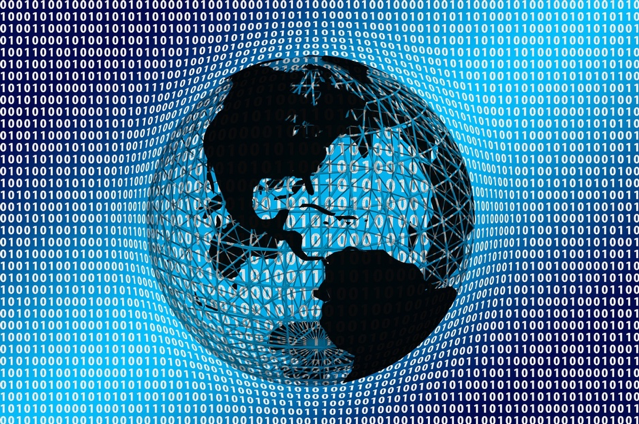 Cyber-attacks can be an act of terrorism or part of a larger geopolitical conflict. We have seen Russia launch cyber-attacks on utility companies in the Ukraine, shutting down the power with a push of a button. In transportation, we have seen that North Korea tried to hack South’s railway system”. “This market follows a cat-and-mouse model where the defenders are continuously trying to catch up with the attackers. As a result, there is no ‘silver bullet’ that will stop all attacks, but a continuous game to try to stay ahead of the attackers. · Internet of Things:Intercept connection of any connected device (Vacuum, HVACS, Fridge, Printer…) and turn them into a zombie army working for the attacker. · Email: Malicious attachments and links hidden within the email enable further in-depth attacks like Advanced Persistent Threats. 90% of cyber-attacks use email to attack people. New malware samples executed via email are rapidly multiplying, with over 72 million seen in just one month! A common example of attackers’ techniques is a phishing attack: an attacker masks as a trusted entity and dupes a victim into opening the malicious content. · Shared Drives: Rapid spread of malware through document sharing. Given their growing usage, they pose an attractive target for hackers, yet aren’t nearly as protected as more traditional targets. It is not enough to just secure the data in collaboration channels, you have to ensure that the content inside these channels is clean and safe. · Network: Distributed denial of service (DDOS) attacks leverage swarms of zombie computers to saturate a web service; a Man-in-the-middle (MITM) attack diverts the network traffic through the attackers’ computers, Spear phishing attacks are socially-engineered attacks to specific targets. · End-Points– USB sticks are the computer equivalent of drug syringes and spread viruses very rapidly; Ransomware blocks users out of their own systems; Eavesdropping enables to listen to confidential conversations even when your phone is?—?apparently?—?switched off. Data: What is at stake? The data you generate on the internet create a double “digital you”, as real as your flesh and blood, your digital footprint. Adrian Sossna and David Uze, from Trillium, explain how our actions on the internet can harm us and our people. “Any and all information sent over an unprotected internet connection can be intercepted by criminals. Ordering an Uber to your friends’ house puts both your and their location at risk, and making online purchases exposes your credit card information?—?a mistake that can lead to serious financial fraud. Having your social security number leaked over the internet could lead to a torrent of trouble at the hands of an unscrupulous identity thief. The stakes get even higher, however, when connectivity is used to amplify the services in whose hands we put our lives. 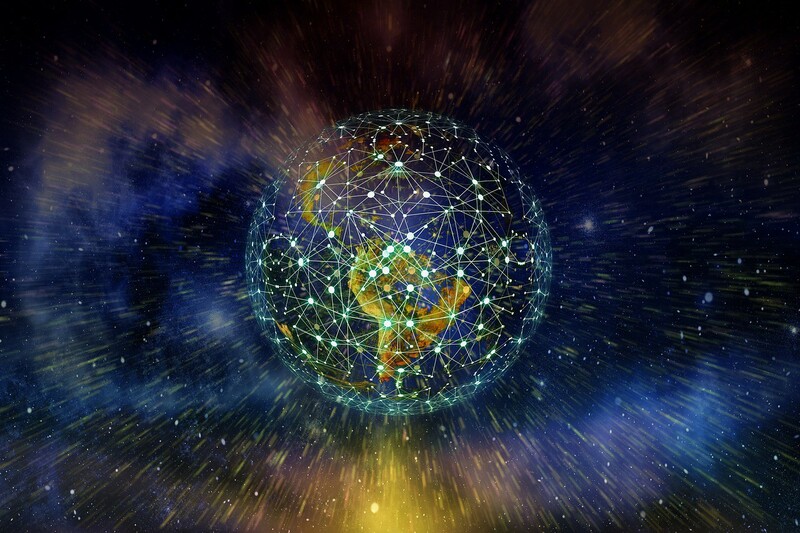 Modern cars, airplanes, ships, and even medical devices have added internet connections to expand the range of services they offer. Using your phone to adjust your pacemaker is incredibly convenient, but the damage a hacker could cause with control of it is literally life threatening. Without the appropriate protective measures in place, all digital information can be turned into a weapon to threaten people. The electronics in your vehicle keep record of the places you visited?—?if equipped with navigation, they remember your driving style, how you accelerate and how often you break hard. If you use the Bluetooth connection to make phone calls in your car the electronics may keep a list if your contacts, or the history of your calls and messages. Connectivity-enabled transportation has numerous hurdles barring its way to success. Unique, unprecedented situations involving multiple vehicles, their passengers, and their data need to be secured from start to finish to ensure the safety of the people depending on connected vehicles”. “Imagine a very messy office open to everyone, files and folders lying everywhere: this is what most data centers look like today. Even if the office is locked with a key, you want to make sure that no matter what happens, the confidential information does not get stolen. As we know that no system is perfect, there is a need to proactively protect the confidential information. However, people do not know what is sensitive or not or even what the company has to protect. And doing this manually would be a nightmare. Automated classification allows exhaustive and granular inventory of all these documents by business category and by level of confidentiality to protect and monitor information. · Handle your data appropriately: data classification enables organizations and employees to regain control over their data knowing where each type of record is stored. · Measure your protection: identifying which files are being protected, as well as how and why. This way you are able to proactively detect potential security lacks. · Prevent insider threats: data classification combined with identity and access management technology helps by only allowing the right people to access to documents on a need-to-know basis. · Prevent outsider threats: data classification combined with data loss prevention technologies help to prevent unauthorized third parties from seeing information they shouldn’t. GDPR stands for General Data Protection Regulation. It’s a new European regulation which revolutionizes data privacy addressing the way data should be stored, transferred and collected online. Its aim is to give European residents greater control and visibility over their personal data, strengthening and unifying data protection. 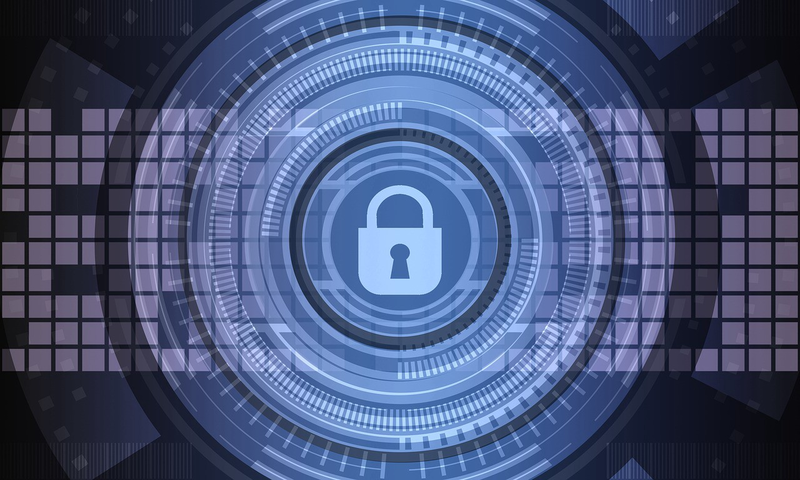 Cybersecurity technologies can help organizations navigate within their petabytes of data and regain control over it: this is Dathena’s mission. Leveraging the power of Artificial Intelligence, Dathena automatically classifies data, identifies personal information, detects security anomalies and protects sensitive information”. 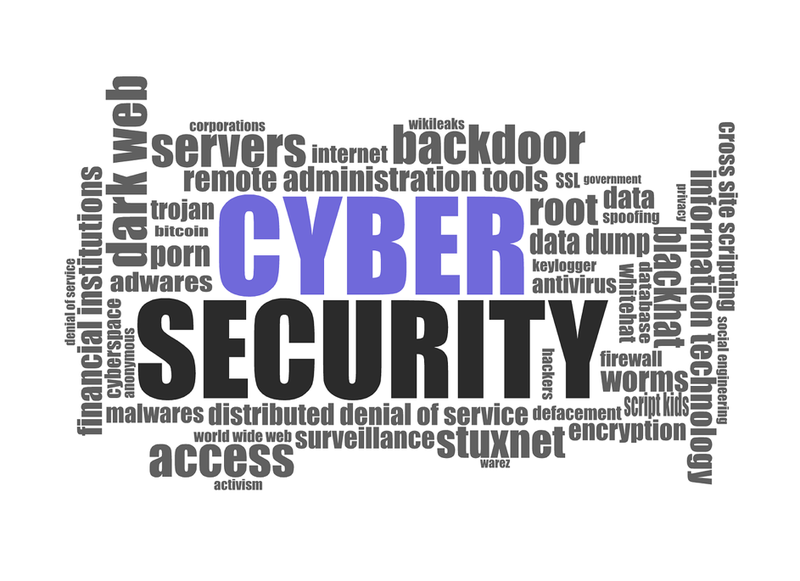 How to Cyber-Secure your business? “The primary focus of INFOSEC (Information Security) is the balanced protection of the confidentiality, integrity and availability of data while maintaining a focus on efficient policy implementation, all without hampering organization productivity. This is largely achieved through a multi-step risk management process that identifies assets, threat sources, vulnerabilities, potential impacts, and possible controls, followed by assessment of the effectiveness of the risk management plan. To standardize this discipline, academics and professionals collaborate and seek to set basic guidance, policies, and industry standards on password, antivirus software, firewall, encryption software, legal liability and user/administrator training standards. This standardization may be further driven by a wide variety of laws and regulations that affect how data is accessed, processed, stored, and transferred. However, the implementation of any standards and guidance within an entity may have limited effect if a culture of continuous improvement isn’t adopted. Therefore, Quarkslab focuses on data security, with 3 products: IRMA, Ivy, and Epona. These products, coming along our service and training offers, help organizations take security decisions at the right time based on relevant information. At Quarkslab, we see security as a means of fulfillment. With security you can look ahead, with confidence. We give meaning to security, seen not as a self-serving abstraction but as a concrete means for accomplishing ambitions”. Cybersecurity is a critical technology for the digital age: without it, there can be no trust, no services, no transactions, no digitization, no growth, no citizenship. As a world leading company in this industry and others, Thales is proud to be working with the crème de la crème of cybersecurity start-ups worldwide, and to provide the best secured solutions that make the world go round, whatever it takes. Learn more about the Cyber@StationF programme and the start-ups on their website. Learn more about how connected fleets benefit from a trusted mobility platform by listening to Trillium’s VP of Global Business Development & Strategy, Dan Viza, give a presentation during the Connected Fleets USA Conference in Atlanta. The event takes place at the Westin Buckhead from November 27 – 28, 2018. Trillium is located at Booth #4, and Dan Viza is scheduled to give his keynote at 4:45 PM(ET) on Day 1 (Nov. 27). If we don’t see you at the event, stay tuned to our LinkedIn for videos captured at Connected Fleets USA! SUNNYVALE, CALIFORNIA– NOVEMBER 14, 2018 – Trillium Secure, Inc. (Trillium), the leader in secure data management, was named a CES 2019 Innovation Awards Honoree for its trusted mobility platform and services at the CES Unveiled New York event. By recognizing Trillium with this award, the Consumer Technology Association (CTA) reaffirmed the mobility industry’s keen interest in Trillium’s connected vehicle safety and data privacy solution. The CES Innovation Award will be proudly displayed at Trillium’s CES Booth (#501) between January 8 – 11, 2019 in the Tech East section. The merits of Trillium’s secure platform as a service were evaluated by a panel of judges, including designers, engineers and members of the tech media based on design, functionality, consumer appeal, engineering and how its solutions compare with the competition. The award winners were announced during CES Unveiled New York, an invite-only tech event bringing together top media, exhibitors and industry leaders for a sneak peek of the products and trends expected at CES 2019. Trillium Secure keeps connected and autonomous vehicles safe, and personal information private, through its trusted mobility platform and services. Trillium’s secure platform as a service enables a wide-range of use-cases for vehicle data analytics and taps into the immense value of connected vehicle data services. To solve problems quickly, offer high value, and establish a mutually beneficial platform for monetizing vehicle data, Trillium develops its security and data management solutions from R&D and operations centers in Sunnyvale, Ann Arbor, Belfast, San Diego and Tokyo. For more information visit www.trilliumsecure.com and follow us on LinkedIn. Drivers used to think of vehicle safety systems as strictly mechanical elements like seat belts, brakes, and crunch zones. But today, safety systems have become completely dependent on electronics and sensors – airbags, ABS, blind spot indicators, cruise control, lane departure warning, automatic emergency braking, just to name a few. This makes sense considering how rapidly safety tech has evolved, the value of marketing the assurance of safety in a vehicle, and the countless lives saved by automated safeguards. But what happens when the integrity of data generated by safety tech comes into question? Who is liable if a hacker manipulates the data sent by a blind-spot detection safety system and the orange or red indicator remained unlit as a car sped past? This issue is very important because of the overriding need to be safe and to feel safe when on the road. The damage to a vehicle brand, and the liability to a business that sells unsafe vehicles, is long and far reaching. In some cases, it is unrecoverable. Therefore, as modern vehicles become more connected and automated, the biggest reason for security is safety. Many fundamental driver controls, such as headlamps or automatic door locks, have a dual purpose as a safety device. What is not well understood in the mobility industry is that vehicle security also has a dual purpose as a safety device. This is true because safety devices are vulnerable to attacks and indeed threaten driver and passenger safety, as detailed in Andy Greenberg’s article in Wired. Another aspect of vehicle safety that is often overlooked is data privacy. As automakers increasingly market themselves as technology companies, it’s important to note that tech titans, such as Microsoft CEO Satya Nadella and Apple CEO Tim Cook, view data privacy as a human right and welcome stringent privacy standards. When it comes to connected vehicles, safety and data privacy are two sides of the same coin. For example, many modern vehicles feature real-time GPS information – it takes just a short stretch of the imagination to consider the consequences of an angry spouse who is able to easily track the location of a person fleeing from domestic abuse. In other words, leaders in the mobility industry who are concerned about driver safety must consider data privacy, in addition to security, as a benchmark for evaluating vehicle systems.